Let’s be clear: any whale that expels water from its blowhole is drowning. Blowholes are modified nostrils, and whales use them to breathe air. 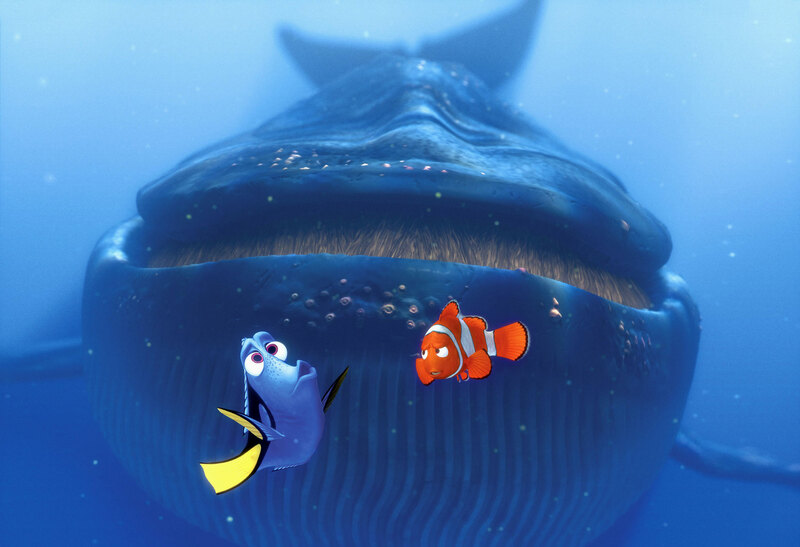 The whale’s mouth and esophagus are completely separate from its blowhole and airway, so Nemo’s friends would find no escape there, and the spray that whales spout isn’t water. It’s warm, moist air from their lungs, droplets of water from around the blowhole, and a certain amount of whale snot. So, whales can no more breathe water than humans can, but these are just kids’ stories, right? A few errors won’t matter. While scenes such as a talking whale in a kiddie pool are clearly fantastical, images that inaccurately reflect biological reality can lead to misinformation that lingers long past childhood. Jackie Hildering, a whale researcher and marine educator, says she still encounters adults who forget that whales are mammals, not fish, and that the “spout” is the whale’s breath, not expelled water. Hildering is cofounder of the Marine Education and Research Society, based on Vancouver Island, British Columbia, within the ranges of several whale species, including humpbacks, minkes, northern resident killer whales, and transient (or Bigg’s) killer whales. Just to the south of Hildering’s primary study area is part of the main habitat of the endangered southern resident killer whales, a group of fish-eating specialists numbering only 76 individuals at latest count. Like other whales around the world, the southern residents are being hammered by human activity—subject to ship strikes, entanglement in fishing gear, contaminants, climate change, and the unending din of human-generated undersea noise. Whales are in serious trouble because of us. Can we fix this? Hildering thinks so. The key is knowledge. In the span of a human lifetime, we’ve gone from fearing killer whales to seeing them as cuddly entertainers and then as intelligent animals that deserve our respect and protection. “It’s when knowledge replaces fear that our behavior changes,” Hildering says. So good information matters, especially for kids. In a 2002 article in the journal the Reading Teacher, science educator Diana C. Rice wrote it’s a mistake to assume that science misconceptions from early childhood will be corrected later. Rather, “research in science education suggests just the opposite, that we cannot assume that children’s ideas in science will become more sophisticated.” She cited a 1999 survey of American adults in which about half of the respondents believed that early humans lived at the same time as dinosaurs, an idea, she wrote, derived from children’s books, movies, television, and—in some cases—religion. Because whales are a popular topic in kids’ books, Rice and other researchers have used their portrayal as a measuring stick for scientific accuracy. In a 2016 article called, tellingly, “Cetacean Frustration,” four British scientists surveyed picture books that feature whales and other cetaceans. Of 116 books, 74 had errors. The rate was higher in fiction, but almost half of the nonfiction books also contained errors. One of the article’s authors, vertebrate biologist Nel Beaumont, wrote in an email that there were not enough older books about cetaceans in their sample to determine whether accuracy had improved over time. However, the researchers have been looking at the portrayal of other species as well and have found no indication, so far, that newer books are either more or less accurate than older books. As an author of kids’ science books, I found the poor level of accuracy concerning. There was surprisingly little overlap between the books the British researchers surveyed and what was available to me in southern coastal British Columbia, so I did a quick survey of whale books in three local public libraries. I, too, found inaccuracies, often due to oversimplification, although few were as extreme as the water-spouting whales. However, among almost a dozen books about killer whales, two serious inaccuracies stood out. First, three books stated explicitly that killer whales enjoy associating with humans and performing for them, even in the wild. In Adam Woog’s 2002 title, Killer Whales, the author says killer whales survive well in captivity: “Audiences love to watch the killer whales jump high out of the water and play with their trainers, and the animals appear to enjoy the human contact as well.” Woog’s book is 16 years old, but keeping killer whales in captivity was already controversial when he wrote it. In fact, the book appeared at the height of the campaign to free the famous killer whale Keiko. Secondly, most of the books implied or stated that killer whales eat any prey available. If true, they should be able to shift to new foods when their old foods disappear. But it’s not true, and therein lies the problem faced by the southern resident killer whales. They are fish eaters, heavily reliant on chinook salmon. It’s a core part of their culture. Hildering says people she talks to often don’t realize killer whales have cultures. Genetic studies show that the mammal-eating transient whales, which often share the same waters as southern resident killer whales, have been genetically and culturally separate for about 700,000 years. The culture of the southern resident killer whales might well be equally ancient. Certainly, they know where to find salmon and how to hunt them, and have passed that knowledge from generation to generation. The southern resident whales’ fates are tied to the fate of chinook—but overfishing, habitat destruction, and climate change make the future of chinook far from rosy. Are the kids who read these books—tomorrow’s biologists, wildlife managers, and policymakers—likely to spot the errors or question the information? Janet Logie, a teacher at University Hill Elementary School in Vancouver, says the grade three kids she teaches don’t question the information in books and often share “facts.” “They trust them 100 percent,” she says. Information in kids’ books, right or wrong, can have a wider reach than the publisher’s intended audience. I often hear from adults who have discovered new information from my own books, and Hodge says her impression is that a lot of parents get their post-school information from the books they read with their kids. Accurate information in a child’s book on whales might even lead adults to abandon the biological fantasy of a water-spouting fish-whale—a sort of Moby Fish—that so annoys biologists. Correction: A previous version of this article stated that southern resident killer whales had been developing separately from other killer whales for about 700,000 years. This was an editorial error. It is the transient (Bigg’s) killer whale population that has been separate for this length of time. 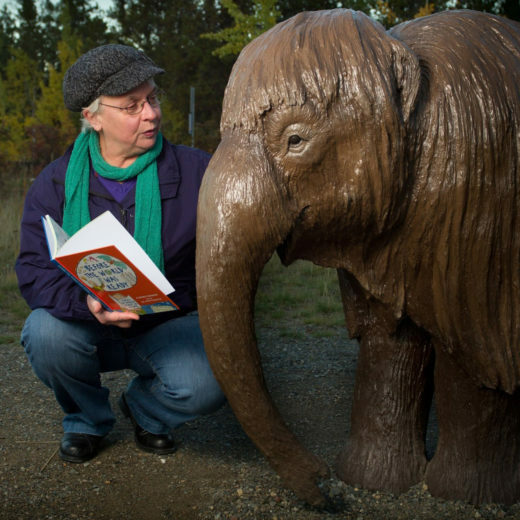 Cite this Article: Claire Eamer “Storybook Whale Fail,” Hakai Magazine, Mar 22, 2018, accessed April 26th, 2019, https://www.hakaimagazine.com/features/storybook-whale-fail/. Choose downtime over screen time during the holidays with engaging reads that explore diversity in coastal environments and in people.